Trainsloading, Shipping & Logistics Services | Arreff Terminals Inc.
With consumer demand for organic products increasing daily, Arreff Terminals has responded to the need and has received organic handler certification from Pennsylvania Certified Organic. 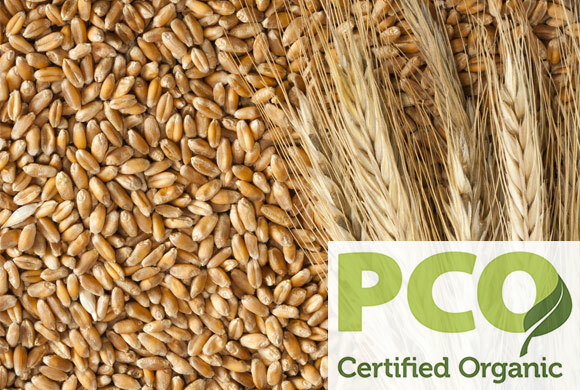 PCO is accredited by the USDA under the National Organic Program. The vast majority of organic commodities pass through the hands of at least one middleman, also known as a handler. Without organic handlers, farmers and retailers wouldn’t have the help to get their products from farm, or processor, to the consumer. Organic handlers move the product through the entire supply chain. Efficient and safe organic handling is one of the most important jobs in the organic industry. Arreff is certified as a service provider to handle imported organic whole grains including corn, soy beans and millet. We move these commodities for some of the biggest names in the natural and organic food industry. If your company is importing organic agricultural commodities from Europe or South America, please give us a call. Arreff Terminals can receive containers, unload and then efficiently ship by railcar or hopper trucks. We are conveniently located only a few miles from Norfolk Port, in Portsmouth, Virginia.